Home Products Taurus Pressure Cooker With Valve Pressure Controller Stainless Steel 10l "Ontime Rapid"
Taurus Pressure Cooker With Valve Pressure Controller Stainless Steel 10l "Ontime Rapid"
Taurus presents the Ontime Classic 10L Pressure Cooker. 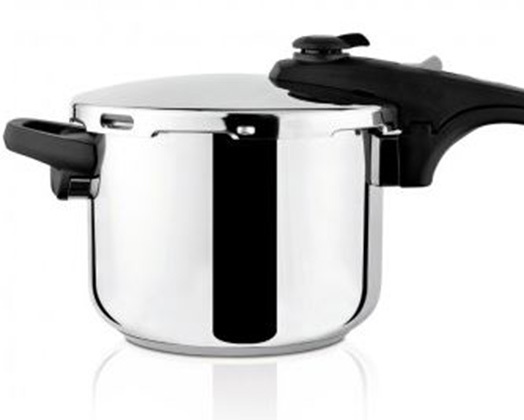 The High quality Stainless Steel body has a 10 litre capacity and is suitable for all kinds of cuisine. It has a locking system by rotating the knob abnd comes with a valve pressure controller. It has cool touch handles making it easy to operate and move to the dinner table.